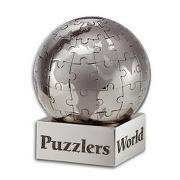 We are glad to announce android app launch for puzzlersworld.com, you can download it using this link. Which Feature Would you like to see next in our App ? Chances are you might have already played 2048 game, but if you have not, go and install it right now from here, This is very different from all traditional 2048 game apps. What’s different from all other 2048 Game Apps? 1. LifeLines: It provides three special tiles as lifelines which you can use as and when you are stuck. BURST Tile: It can be used to remove any tile on the board. GOLD Tile: Can be placed anywhere on the board and can be merged with any tile. 2X/ Double Tile: Can double value of any tile. How to use these lifelines? Can you guess her name ? bataien larki ka naam kiya hoga.? challenge 4 you! Hint: Jawab is message main mojood hai. hit a 6 of last Ball to defeat England ? Guess these 10 songs now. Here you go now, Fill in the blanks.